Welcome to the St. Joseph Roman Catholic Church’s website. We are located in Pascoag, a village in the picturesque northwestern corner of Rhode Island—truly, “God’s country”. The parish was established in 1894, and our history may be found under the tab entitled Our Parish. As you will see, the church building itself is architecturally beautiful, but the true heart of any parish is its parishioners. St. Joseph’s parish family is a Christian faith community that welcomes its members and strives to live its faith, consistent with our Mission Statement. We embrace current and new members, especially our youth—the future leaders of society and the church. In a world that continues to separate church and state and increasingly prohibits public expressions and symbols of Christianity, we must work together to live our faith. All parishioners are invited to register and participate fully in Mass and church events. Experience God’s love and feel true joy. 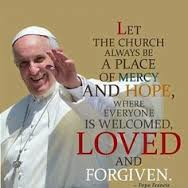 If you are a returning Catholic, welcome back; you were missed! If you are new to the area, please consider joining our parish family. You may contact the office by calling 401-568-2411, Monday-Thursday, 9 am – 5 pm, or via e-mail at stjosephpascoag@cox.net. May God bless you, and we hope to see you at weekly Mass. Lenten Schedule: Stations of the Cross at 7:00 pm. and Confessions between 6-6:45 p.m. most Fridays. Refer to Our ParishTab– Mass schedule or weekly bulletin for dates and locations. 50 Club Tickets: The cost per ticket is $50. Tickets are available at the rectory Monday-Thursday, 9:00 a.m. to 5:00 p.m. See the weekly bulletin for more details.